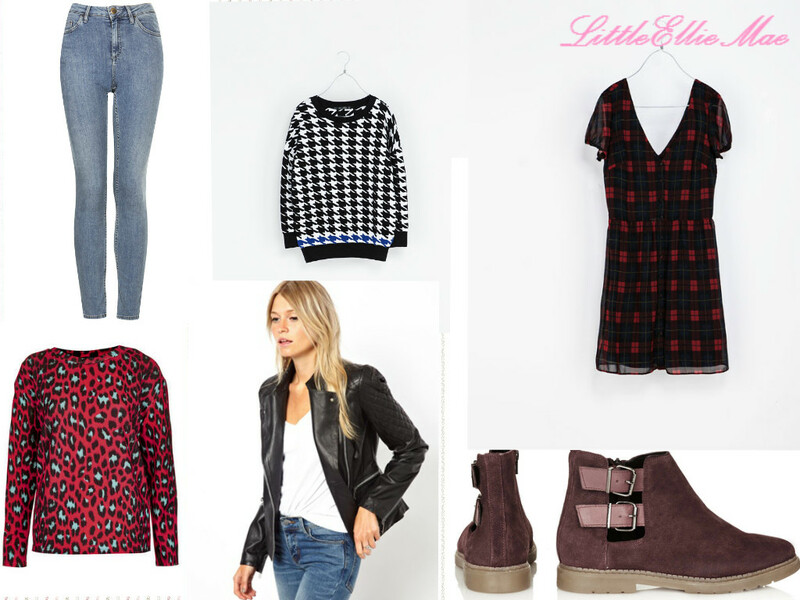 LittleEllieMae: My Autumn Wish List! Recently, I've really enjoyed reading people's wish-list blog posts so I thought that I'd try one for myself! As I've never written a wish-list post like this before, this one is going to be pretty jam- packed, but I promise that future ones will be a bit simpler! Enjoy! 1.) Urban Decay Naked 2 Palette- I have been wanting this product for so long now, since it first came out but I've never got around to buying it! At present I own the Urban Decay Naked Basics palette, which I am in love with; I think that Urban Decay eye shadows are the best! They have such a great texture and are so pigmented in lovely colours! As I am not a huge eye makeup wear-er, I prefer to stick to neutral colours so these colours in this palette are perfect! I especially love the sheer/ glittery shades because I would really like to start wearing ones like this for the autumn/winter this year! 2.) Benefit Most Glamorrous Nudes Ever Palette- Again, this is another neutral eye palette in which I adore the colours! It comes with four powder shadows and two cream shadows. 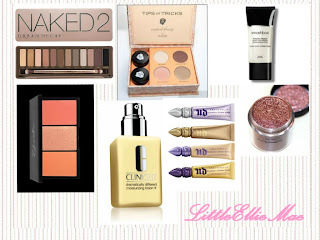 I've never tried Benefit eye makeup, but I would really like to! My favourite thing about Benefit palettes, such as this one, is the adorable vintage looking book- like design of the box! So cute! I really hope to get this product for the autumn! 3.) Smashbox Photo Finish Foundation Primer Light - A few months ago I had a sample of this primer and I absolutely fell in love with it! I've been looking for a primer to suit me for for a while now, and this seems to be the best one that I've tried! Its very soft and light on the skin, and my makeup really does seem to last longer whilst I am wearing this. As I only used a tester last time, I would really like to purchase a full size one this time around! 4.) Sleek Blush by 3 in Lace - I've got a bit of a thing about blushers at the moment, and this one has caught my eye! I've heard a lot of good things about the Sleek blushes on the internet so I'd like to try them out for myself! I especially love the colour palette 'Lace' as I think the colours are so pretty and dainty! 5.) Clinique Dramatically Different Moisturising Lotion+ - Wherever I go, I seem to see a poster or advert of this product. Well done Clinique, now its all I can think about! I really want to try this lotion. I know people who used to use the old version of this before it was discontinued, and they loved it. I suffer from very dry skin on my face, and I'm always on the hunt for a new perfect moisturiser. Could this be the one...?! 6.) Urban Decay Eyeshadow Primer Potion- I've never used an eyeshadow primer, but I would like to start. The Urban Decay Primer Potions seem to be raved on about by beauty bloggers everywhere for months on end now, and I think its about time that I have a try at 'em too! Also, they are a very good size - great for chucking in makeup bags on the go etc, which is what I'm looking for at the moment prior to my trip to Spain! 7.) Mac Pigment in Tan- After watching Ingrid's new video yesterday I became a little obsessed with the pigment that she wore on her eyes! Its SO pretty! I seem to be very fond of everything rose gold lately... including this pigment! I've never used a pigment before, the whole prospect of them seem to scare me a little (think of all the mess I could make arrgh?!) but because I've fallen in love with this colour and overall product so much, I think I'm going to have to buy this..! 1.) Topshop Moto Light Vintage Jamie High Waisted Jeans - Topshop jeans are my absolute favourite! I've had my pair of acid wash ones for two years now and they look as if they were brand new! I really like this pair of light wash jeans, I think they'd look really cute with a jumper in the autumn! Topshop jeans are such an investment! 2.) ZARA Tweed Top - This jumper really stood out to me! I love the monochrome dog- tooth print with the bright electric blue around the bottom. Its so different, definitely something I would wear! I love big jumpers in the autumn and winter. This would look great with a pair of jeans and Doc Marten boots for a casual look or with some black tailored shorts and tights for a more dressed- up look! Ooh I am totally in love! 3.) ZARA Checked Print Dress with front buttons- LOVE LOVE LOVE! I have been obsessing over this dress ever since I saw it in store last week in Exeter. I wish i brought it then and there! Tartan/ checked print is a huge trend this A/W, pair this with some boots and a leather jacket and it may just be the perfect outfit for this season! Aah, I can't help but smile every time I see it. This is definitely at the top of my wish list! 4.) Topshop Leopard Neoprene Sweat- I just think that this sweater is really fun and quirky - right up my street! Its always nice to add a pop of colour to your A/W wardrobe! It looks so comfy too! For some reason, I like to wear this coral colour because I think it looks nice against my hair colour (haha!). 5.) Mango Quilt Detail Leather Jacket - A leather jacket is a timeless essential for any wardrobe. Now, I haven't owned a leather jacket in a few years because I was going through such a growing spurt it wasn't worth buying a new one for every time I grew out of it! Now I've seemed to stop growing (touch wood!) I would like to purchase one again! I really love this one from Mango, it looks so chic and classy but still rocky and edgy! A great investment I would say! 6.) Topshop Majestic Cut Out Suede Boots - I love autumn boots! They're great for shopping in town in, or even going for a frosty walk in the park! I especially love the colour of these boots, I think that they would look super cute with a pair of frilly ankle socks. After wearing my Topshop shoes almost every single day this summer and being extremely happy with them, I'm definitely up for purchasing more shoes from Topshop! Maybe these could be the ones! 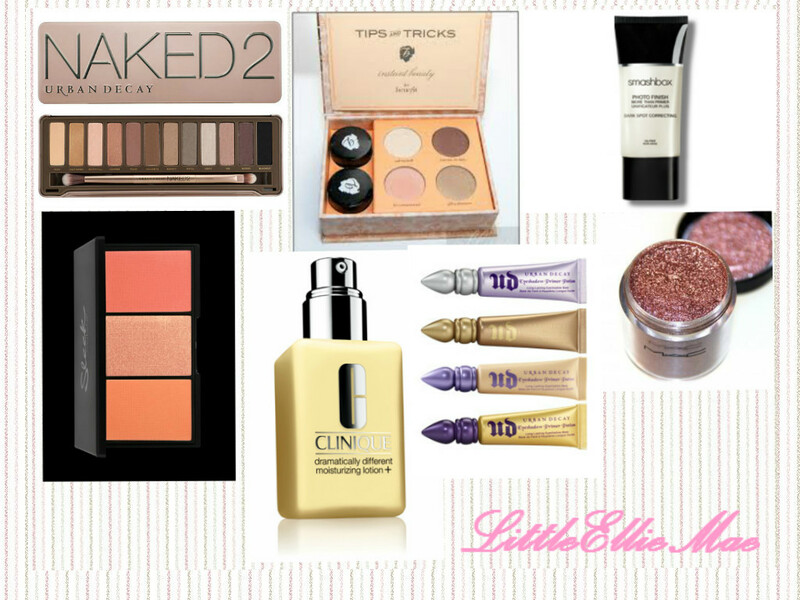 So, that is my Wish List for the autumn (for now, until I see more lovely products that I will be wanting...oops!). Is there anything that you like here, or anything that you can recommend to me at all? It's not exactly the same, but I got a really similar tartan dress at Primark this weekend for just £12! A very beautiful wishlist indeed! I love it! Thanks Ellie for following my blog! I'm so glad we met thru Twitter! You are just the sweetest thing!